The inherent longevity of plastic pallets results in great opportunities for used plastic pallets. 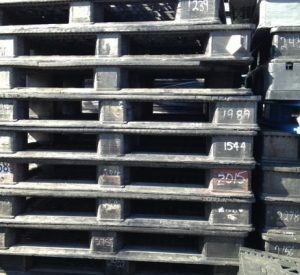 Our stock of used plastic pallets changes regularly with many customers taking advantage of fantastic savings and more used pallets coming into our warehouses. Although we try to maintain accurate inventory quantities and descriptions on our website, please give us a call to see what amazing deals are available in used plastic pallets from Plastic Pallet & Container.